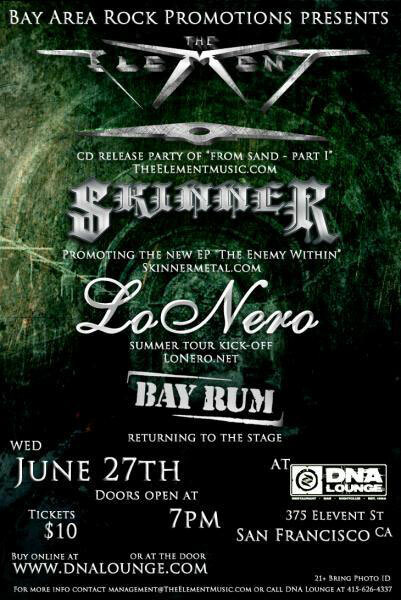 Rock/Metal/Progressive band THE ELEMENT has the CD Release party of its acclaimed new album "From Sand - Part I" on June 27, 2012. Rafael Macedo, Mitch Stewart (Circle II Circle), Jeremy Villucci and Marco Bicca (LoNero) hit the stage to play the new album in its entirely. The band promise to deliver an unforgettable and exciting show with some surprises.